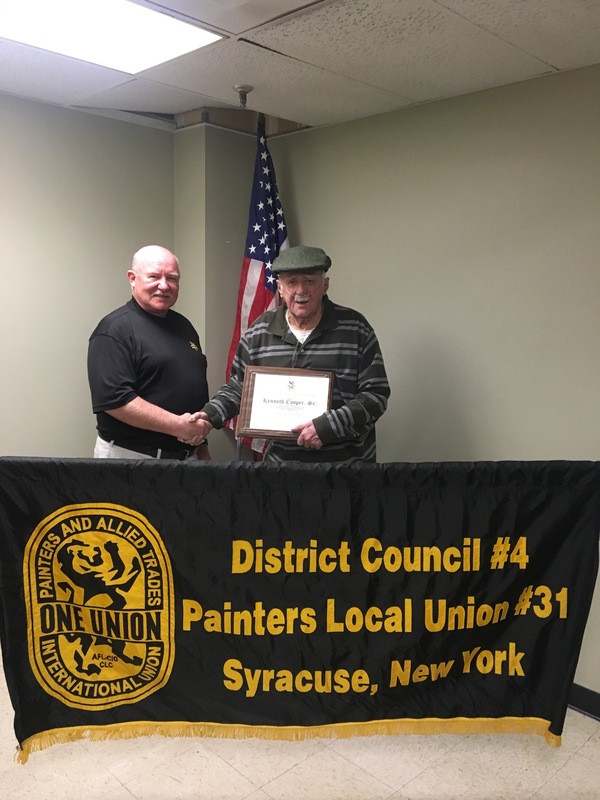 On May 7, 2018, District Council 4 Business Representative Mike Dems presented Local Union 31 (Syracuse) member Ken Cooper with the 50-year Certificate of Gold Membership Award. Brother Cooper was initiated on March 4, 1968. Five years later, Cooper was elected to the LU 31 executive board. Since then, he has held several different positions as an executive board officer for a total of 45 years. In addition, Cooper served as DC 4 delegate for 18 years and was appointed as the LU 31 representative to the DC 4 executive board for two terms. DC 4 Business Representative Mike Dems presents Ken Cooper receives (right) with his 50-year Gold Membership Award. Brother Cooper has proven to be an exemplary member. 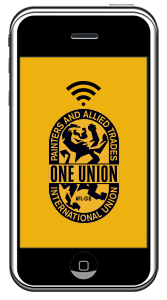 He always does what’s in the best interest of the members and participates in all union activities to support the advancement of the IUPAT agenda. DC 4 is thankful to Brother Cooper for his many years of dedicated service to the IUPAT and congratulates him on his Gold Membership Award. We look forward to continue working with Brother Cooper for many years to come.